Soldering is defined as the joining of 2 metals using a filler material at under 800 degreesF. Soldering is commonly used to provide a permanent connection for copper wires, or in our industry, for sealing water or gas tight connections of piping. For many years, the soldering material used was called 60-40. This meant the metals used were 60% lead and 40% tin. This material was used primarily for copper piping used for water. The HVAC industry uses pressures up to 500#, so 60-40, with its high percentage of lead was not dependable for use with these high pressures. One replacement for 60-40 was 90-10. Obviously, this is 90% tin, 10% lead. Some manufacturers used this material for their units. For water pipes all solder is lead free now and it works better than the solder containing lead. In newer units, low temperature soldering has been eliminated by all manufacturers in favor of high temperature silver brazing. You will have occasion to solder water pipes in the HVAC industry, so you need to know how to do it. All piping to be soldered needs to be cleaned, but with low temp it is especially true. 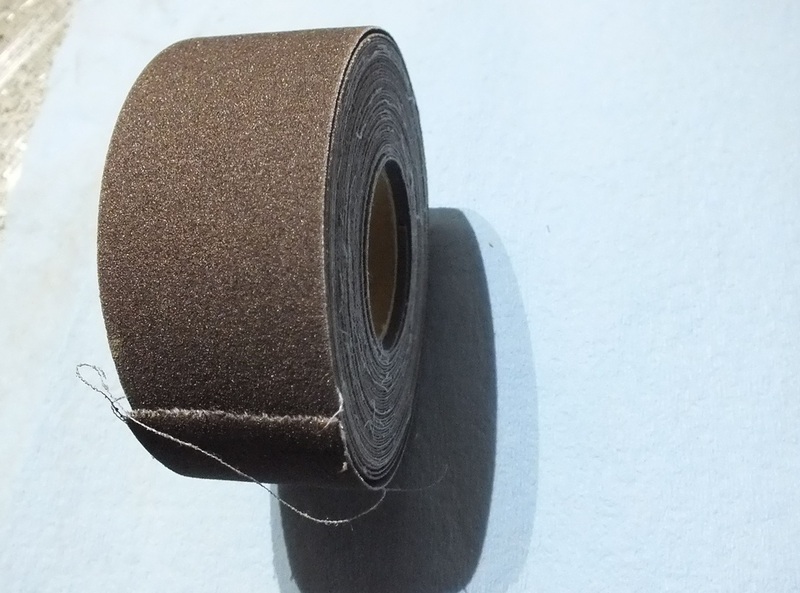 Sandpaper, nylon pads etc will all work. All parts must be very clean and should not be touched after cleaned. 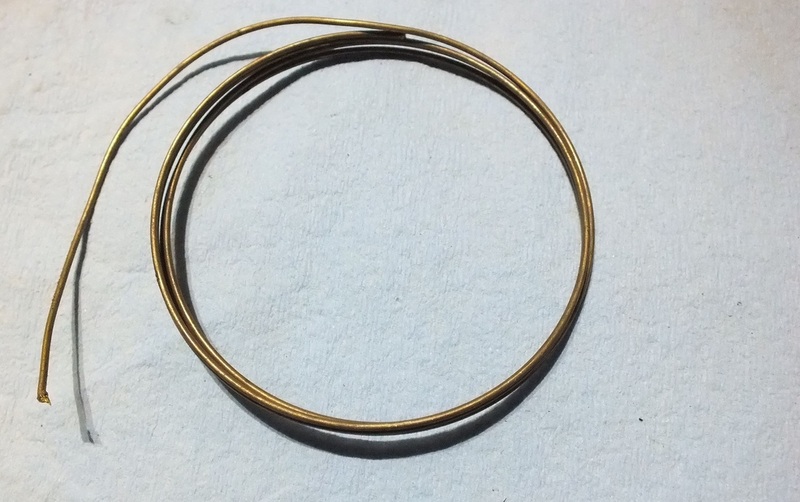 This type of solder must have flux applied to the male end of the pipe. The flux is a cleaning agent. 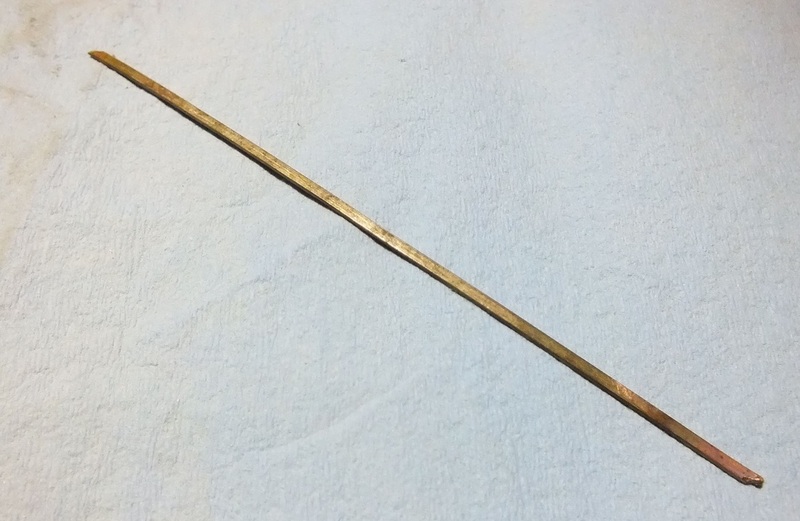 This solder works by capillary action. When the joint is warm enough, the solder melts and is literally sucked into the joint by the capillary action. The female part of the fitting is heated and it warms the pipe inside. Heat control is very important with this type of solder. There are more problems with overheated fittings than any other thing. Once the solder is pulled into the joint is done. Any more heating may damage the fittings. The video below shows how it is done. Brazing is similar to soldering except the temperature is above 800 degreesF. For copper, the brazing compound most commonly used is commonly called sil-phos as seen on the left. There are several types of this compound. 15% Phosphorus/Copper/Silver Alloy is one type that uses 15% silver and is the standard for service techs doing repairs of refrigeration equipment.5% Phosphorus/Copper/Silver Alloy is another compound that is cheaper and some say works well for repairs. It does not work as well as 15%. There is also a Phosphorus/Copper Alloy with no silver that I find to be largely useless for repairs. The primary difference between these compounds is the silver percentage difference. The higher the silver, the better its sealing properties. The above explanations of the different brazing compounds are simple and not expected to be definitive. When using this compound, the joints must be clean as with all brazing, but there is no flux used. The temperature used for this operation is above 1400F, and is the highest we use. For brazing brass or steel, sil-phos is not generally effective. For this we use 40% silver braze. This compound, as shown at left is sold as a coil. When you are connecting metals other than copper, or copper to brass or steel, this material is the best choice. Again, the joints must be clean, but for this operation there is a flux used. 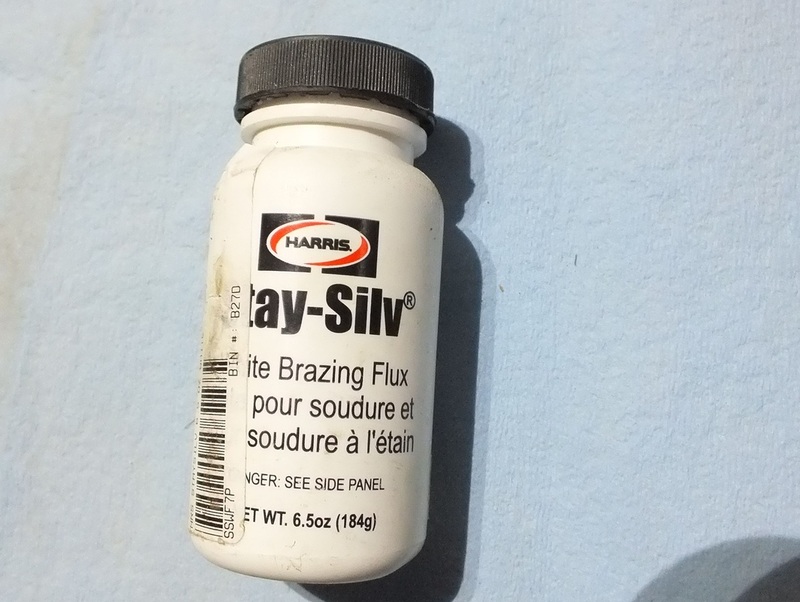 The flux is special for this type of braze compound. No other type of flux will work. The flux turns to a glass like material before the temperature of the joint reaches the melting point of the braze compound. The melting temperature of this braze is approximately 1200F. When using silver braze, you must be careful that none of the flux gets entrapped in the joint. If so, the flux can break off and cause a leak. When brazing copper the best choice is always sil-phos. Only use silver braze on the brass and steel joints. This compound is very expensive so it is not commonly used when sil-phos can be used. Using the oxy acetylene torch for high temperature brazing. The oxy-acetylene torch has the highest temperature flame that is normally used in brazing. This torch can be used for welding most medals including steel. Acetylene is a gas that made by adding water to Carbide rocks. It is the gas that used to power miner's headlamps. When used in the oxy-acetylene torch, the acetylene is contained in a cylinder under approximately 250# pressure. When acetylene is pressurized, it becomes unstable and may break down or explode. So, how do we get it up to 250#? If we add acetone to the cylinder, it prevents the breakdown by absorbing the acetylene. This means the cylinder should not be laid down on its side, as the acetone may get into the regulator and damage it. 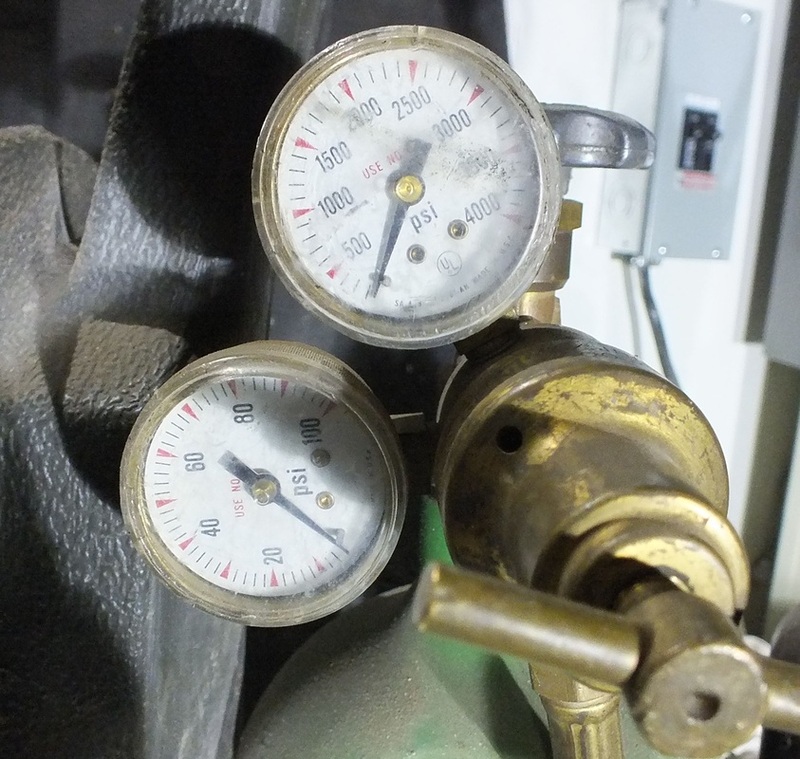 The gauge on the left is the low pressure acetylene gauge on a regulator. Note the red line from 15# to 30#. Once the acetylene leaves the regulator, it is no longer is absorbed by acetone so the pressure must be left below 30# and is best kept below 15#. The pressures used for brazing are usually 5 to 7#. The gauges on the left are the oxygen gauges on the regulator. The high pressure gauge shows the pressure in the cylinder. The one on the low pressure gauge shows the operating pressure that is used by the torch. The oxygen cylinder is at very high pressure. When working around oxygen you need to understand some safety rules. Oxygen does not burn, but because it combines with the fuel to complete combustion, and the concentration of pure oxygen (the atmosphere contains about 19% oxygen) will accelerate burning. Pure oxygen does odd things when in contact with fuel. If perhaps a bit of oil were to be were to be in contact with high pressure oxygen, the mixture may immediately explode. Therefore, extreme care must be used when attaching regulators. All oil should be kept off of the cylinder. The oxygen cylinder should not be transported without a regulator. No pipe dope compound should be used on the gauges, only teflon tape. When setting up the regulators, there are specific methods to use. Below is a video on how to set up the regulators. Once the regulators are mounted, The pressures must be set. The video below covers how they are set. 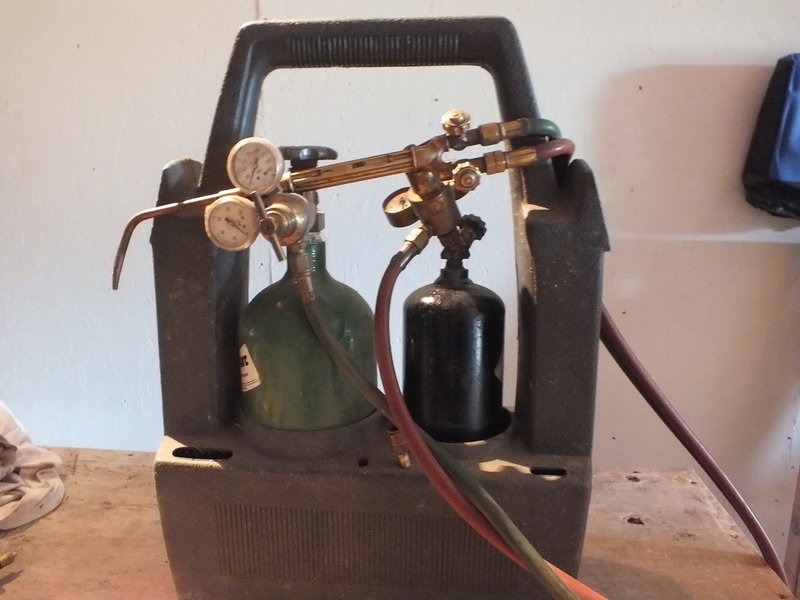 The oxy acetylene torch is useful for many heating uses. It can be used to solder low temperature joints, up to welding steel. For HVAC use, we usually use it for brazing refrigerant caring tubing. The temperature can be changed by the relative amounts fuel and oxygen. The video below below shows how to set the valves for the right temperature. The braze joint must be prepared properly for it to seal. clean is good here. If the joint is properly prepared, the braze is easier to do and will almost always seal. The video below covers how to do it. The most common use for the oxy acetylene torch is to braze copper fittings for HVAC piping. The video below covers the method used to seal these pipes. There is a specific way to shut down the torch. The following video covers this method. I replaced the gauges and added flashback arrestors to this torch set. The video below covers how this was done. 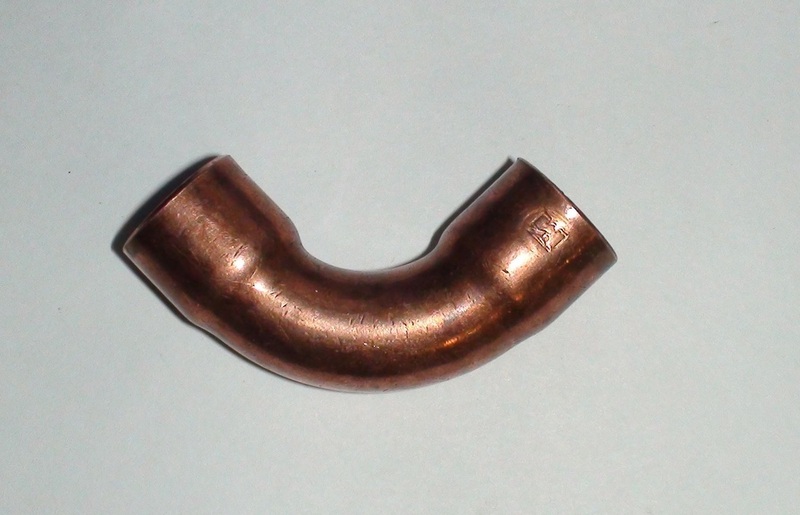 When brazing refrigerant piping, the high temperatures will cause the copper to oxidize. This creates a flaky deposit inside the pipes. These deposits can damage refrigeration parts inside the system. To stop this, we run an inert gas, such as nitrogen or CO2 through the lines while brazing. The pressure used is very low to prevent blowing holes in the joint. The video below shows how to set it up. Once you have set up the nitrogen, It must be done carefully. This video shows how it is done. The video below demonstrates the effect of high temperatures on refrigeration tubing. The above videos cover brazing copper to copper. Sometimes Copper must be brazed to brass. The material used for for this is usually 40 or 60% silver braze compound. This compound melts at approximately 1200F. The video below covers the special method used to make this work. The video below is not recommended for field service work. It was done to show how sil-phos brazing compound can seal 2 pipes without any fitting at all. The video below covers how a leaking flare fitting can be sealed permanently. Below we have a video about how to repair a broken cap tube on a water control valve on a water source heat pump.